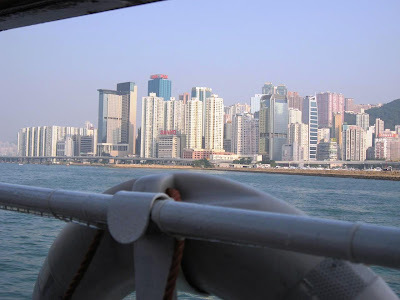 Hong Kong got its name from the many sandalwood and incense factories on the island during ancient times. Its history - having changed hands from the Chinese to the British during the Opium Wars - and unique geographical location makes this island more interesting and important than its small size would suggest. 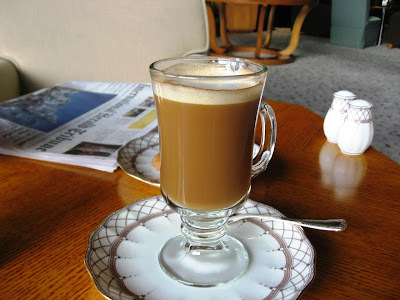 The Cathay Pacific jet from Mumbai landed on a clear, pleasant day and I was soon driving on a high-speed expressway to my harbour-side hotel. The limo even had wifi access! 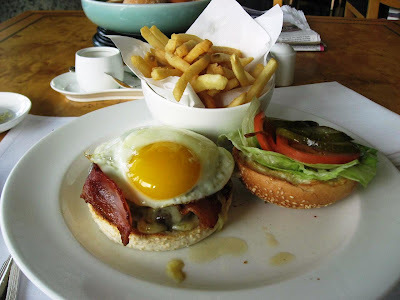 Since it was already mid-day and I had slept all through the flight, I was feeling famished. I went down to the Cafe and got myself a juicy hamburger with a multitude of toppings - bacon, grilled onions, even fried egg! Soon, I was feeling much better and ready to explore my surroundings. I still had a couple of hours to kill and the ferry station was only a short stroll from my hotel. 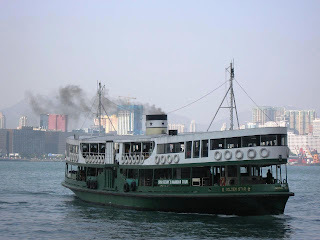 I went with National Geographic's recommendation and took the Star ferry, whose small crafts have been crossing the Victoria Harbour for hundreds of years. Off we went from the Wan Chai pier to Hung Hom and Tsim Sha Tsui on the Kowloon peninsula before circling back via Central. Skyscrapers on the shoreline and the distant hills made for a great viewing experience as the bright setting sun reflected off the glass facade of tall towers in the distance. 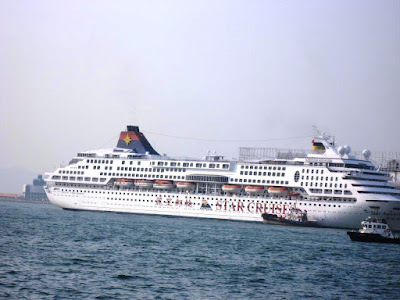 We passed by cruise ships and smaller boats as birds overhead flew home. 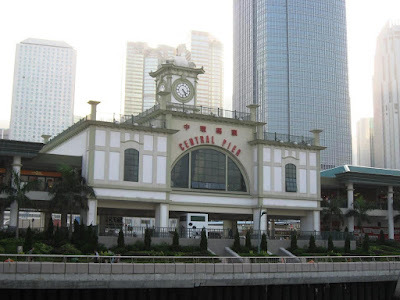 The Victoria Harbour used to be a lot larger in the years past; however, increasing demand for land has led to frequent landfills reducing its size to less than a kilometer across now. Hong Kong has an unique charm with its ultra modern buildings and roads jostling for space with its Buddhist temples, Chinese cultural icons and old markets. I liked the place more than I did Singapore. 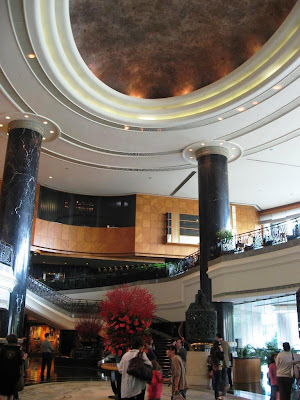 In the evening, we dined at Harlan's within the mall of the awe-inspiring IFC skyscraper. The East Asian Games were coming to an end and tonight was the grand finale with a light and fireworks show in the harbour. This restaurant with its contemporary, warm interiors has excellent views of the harbour and Kowloon shorelines through large glass windows. 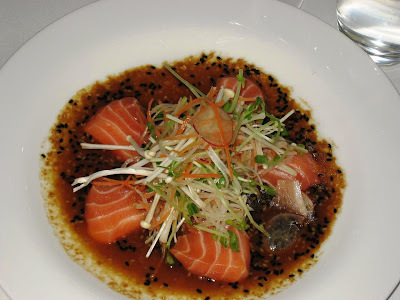 The Salmon Sashimi with Japanese salad and sesame citrus dressing was mouthwatering and set the tone for the rest of the dinner. The flavors of the sprouts in the salad with the sesame and salmon made for an amazing combination. 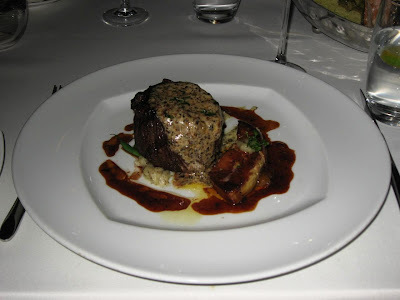 I then went on to the US Prime Beef Fillet with foie gras, French beans, truffle butter and port wine jus. The beef was perfectly cooked and tasted perfect. The combination of the wine jus and truffle butter significantly enhanced the experience. 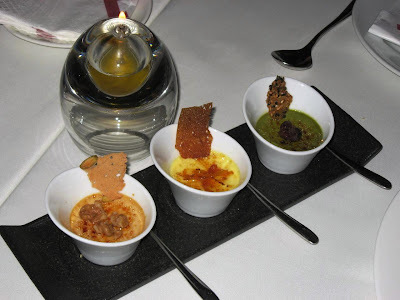 A foie gras lover, I was delighted with the decadent, buttery soft terrine on the plate too! 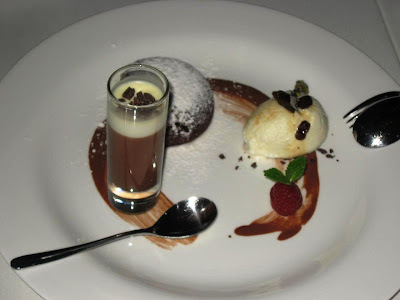 I shared a dessert platter of warm chocolate cake, chocolate soup and rum-raisin ice cream with a trio of creme brulee: Grand Marnier, Caramel and Green Tea. The creme brulee was particularly fantastic and the warm chocolate cake was quite good too. All this while, we had been sipping on some excellent wine: Chateau Lynch Bages Pauillac and the Dagromis Barolo Gaja. The fireworks were lovely to watch and they were preceded by a flottila of junk boats that had been lit up in red. The sights of the fire and light display playing out right in front of us made the evening special. However, the best part of the evening were the long dinner conversations with a bunch of interesting people who I don't get to meet very often. I LOVE HONG KONG !!! pls tell me you had some of the local Cantonese cuisine too, did you go for YUM CHA ? the Cantonese dim sum ?? You've not really seen HK if you haven't walked thru the crowded streets or eaten fish balls on a stick off the streets. Hope you had a gr8 time there, next time get in touch before you go, so you wont have to refer to National Geographic , i'll tell you what to do ! @Kajal: Yum Cha? You bet! Watch this space for my take on a yum cha experience in Hong Kong. Didn't have time to stroll the streets and try street food though. 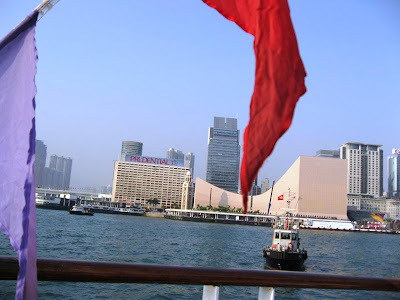 @harekrishnaji: Have you travelled to Hong Kong? 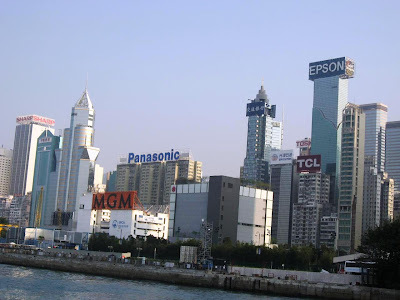 @Harekrishnaji: I liked HK and hope to return with my family. Good mix of the old and the new with lots of food options! Most importantly, no visa hassles for Indians - visa on arrival. Sounds Interesting!singapore on the contrary has a modern touch to it with just skp scrapers..I dint wuite enjoy the food in SPORE.Must visit Hongkong! @Aarti: I haven't tried too many restaurants in S'pore. For some reason, I loved HK more in terms of its combination of new and old-world charms.